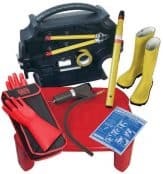 CATU substation life saving and intervention kits provide life saving intervention in and around a substation in the event of an electrical accident. 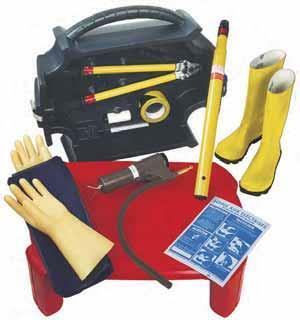 The use of one of these kits can mean the difference between life and death for an electrocution victim. CATU substation life savings kits are trusted by the electrical industry. They provide vital protection and reduce the amount of fatalities and serious injuries caused by electrical incidents in and around substations and whilst working on electrical installations. In case of an electrical accident a quick safety intervention is essential where seconds lost or gained can decide the life or death of an electrocution victim. 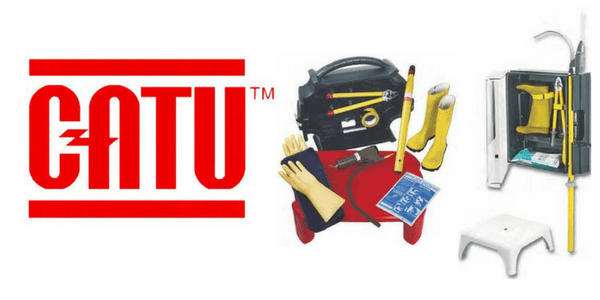 CATU life saving kits are available in compact carry case and wall mounted variations and are designed to make all necessary electrical safety equipment on-hand for rapid intervention and rescue up to 36kV. CATU CZ-53 life saving kits are portable and ideal for carrying within a vehicle. 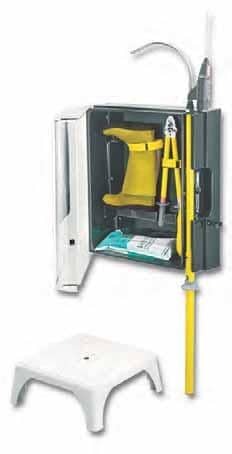 The kit provides transportable, life saving electrical intervention with the case of the kit forming the insulating platform. CATU life saving kits for MV substations are wall mounted and provide essential life saving intervention in the event of an electrical shock within a substation.